Alive with the exuberance, contradictions, and variety of the Golden State, this Depression-era guide to California is more than 700 pages of information that is, as David Kipen writes in his spirited introduction, “anecdotal, opinionated, and altogether habit-forming.” Describing the history, culture, and roadside attractions of the 1930s, the WPA Guide to California features some of the very best anonymous literature of its era, with writing by luminaries such as San Francisco poet Kenneth Rexroth, composer-writer- hobo Harry Partch, and authors Tillie Olsen and Kenneth Patchen. 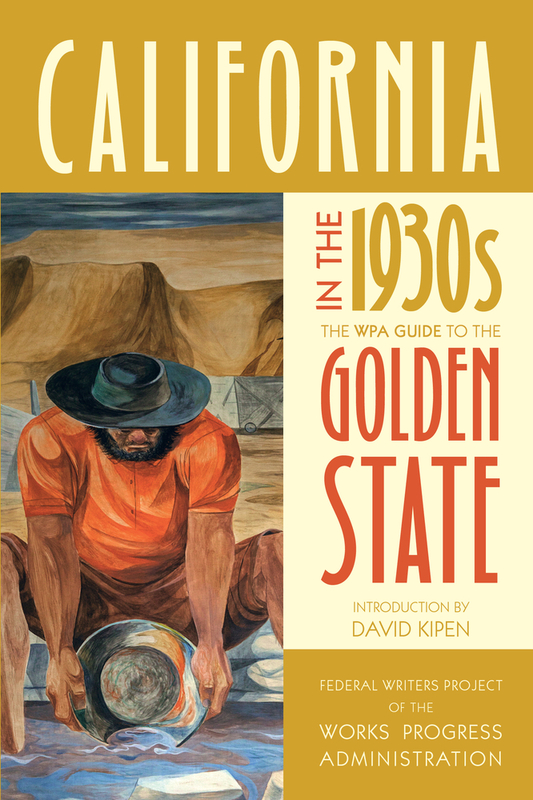 The Federal Writers Project (FWP) of the Works Progress Administration (WPA) not only provided jobs and income to writers during the Depression, it created for America an astounding series of detailed and richly evocative guides, recounting the stories and histories of the 48 states (plus THE Alaska Territory and Puerto Rico) and many of the country’s major cities. David Kipen has written the introductions to reissues of the WPA guides to Los Angeles, San Francisco, and San Diego. He is Southern California Public Radio's book correspondent, and the founder of a lending library/used book store east of Downtown Los Angeles called Libros Schmibros. Past book editor/critic of the San Francisco Chronicle and director of literature at the National Endowment for the Arts—where he led the Big Read initiative Kipen is the author of The Schreiber Theory: A Radical Rewrite of American Film History, and the translator of Cervantes’ The Dialogue of the Dogs.